Nov 10, 2018 | Under Medical Malpractice | Posted by Dante Law Firm, P.A. He has a name that is known throughout the world of athletics – Dr. James Andrews. His surgeries have saved and revived the careers of thousands of athletes. Now, he is facing a lawsuit from Sharrif Floyd, a former Minnesota Vikings defensive tackle. The suit claims that Floyd “suffered permanent nerve and muscle damage in his leg as the result of a 2016 surgery performed at the Andrews Institute for Orthopedics and Sports Medicine. Floyd said he was told he needed arthroscopic surgery but that the procedure went far beyond that scope. The lawsuit also claims that Floyd was “negligently administered a pain blocker,” which damaged his right leg. He is seeking $180 million in damages. At the Dante Law Firm, we are familiar with medical mistakes and medical malpractice cases. In fact, errors in medicine are much more common than many people realize. If you need a Miami medical malpractice attorney, you can contact us and we will work on getting you a settlement that you deserve. Did you know that medical mistakes are the third leading cause of death in the United States? Some estimates put the number close to 440,000 deaths annually. That is behind only heart disease and cancers. How do medical mistakes kill that many people in a country as advanced as the United States? We want to talk about some of the main causes of medical mistakes, but please know that this is only a basic overview and does not cover all possibilities. Thanks to Johns Hopkins researchers, we know that a medical misdiagnosis can cause more patient harm than any other medical mistakes. This is because, whether dealing with a chronic illness or an emergency, a misdiagnosis can lead to delayed treatment. That lost time can require a patient to need harsher treatment once the error is discovered. It can even lead to patient death. Most surgical mistakes are only heard about when they are one of the major “never events.” These include operating on the wrong body part, the wrong patient, performing the wrong procedure, and leaving surgical instruments inside of patients. We also know that there are many other surgical errors that are not as widely reported but just as deadly. Medication mistakes are very common and can include not giving a patient their medication, giving them the wrong medication, or giving them the wrong dosage. We know that hospital-acquired infections are rampant in the medical system and are caused by healthcare professional negligence when they fail to monitor sensitive sites or take proper infection precautions. We know that medical mistakes can be devastating to the victims and their family members. That is why we want to help. The Dante Law Firm has knowledgeable and experienced teams waiting to investigate your case. 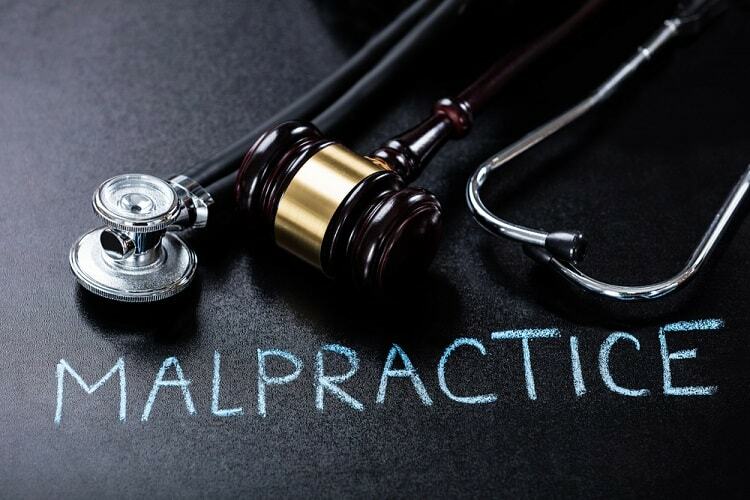 When you need a Miami medical malpractice attorney, you can count on us to be by your side. Do not put off seeking legal assistance if you think that a medical professional’s negligence has caused you harm. When you need a Miami medical malpractice attorney, you can contact us by clicking here or calling 305-949-2526 for a free consultation.